A new expert study paints a gloomy picture of the future of tropical coral reefs. According to a team of researchers including palaeobiologist Prof. Dr. Wolfgang Kießling from FAU, Acropora, by far the most common genus of coral with the most different species, could lose the fight against the climate change being caused by humans, sparking the destruction of underwater biotopes. ‘In this situation coral reefs are the victims of their own success,’ Professor Kießling says. 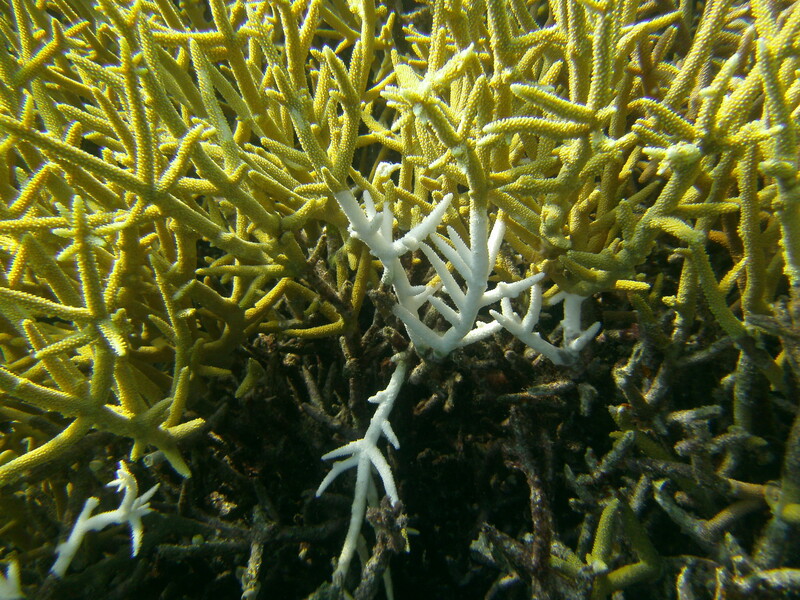 Acropora is able to resist natural environmental influences better than other genera of coral. In fact, it even seems to use challenges such as tropical storms to its advantage in order to increase its ecological success. The delicate branches of Acropora corals are easily broken off by strong waves. The fragments are carried away by the water and deposited elsewhere, where many of them grow and form new colonies over the course of decades and centuries. Acropora corals have been spreading in this way for around 50 million years. Acropora’s rapid growth has remained an unbeatable advantage until the present day, as the rule that determines the survival of a reef is simple: the biotope can only survive in the long-term if the corals grow more quickly than they are destroyed. And destruction happens continuously on coral reefs. Tropical storms make their mark, but even more damage is caused by other organisms such as parrotfish, sponges and fungi. Acropora is able to keep the balance sheet in the black, creating the perfect habitat for other sea creatures. Biodiversity is higher in areas where many Acropora corals grow and they help distribute the energy of the waves, which helps protect the coast. Acropora’s success stands in stark contrast to the dark prognosis for its future. It is particularly sensitive to global warming and the associated acidification of the oceans, susceptible to diseases and coral bleaching, and the preferred target of the predatory crown-of-thorns starfish. Acropora has already receded rapidly in the Caribbean in recent decades with disastrous consequences for the coral reefs in the region. The researchers believe that it could soon face a similar future in other marine regions – not least as a result of human influence.